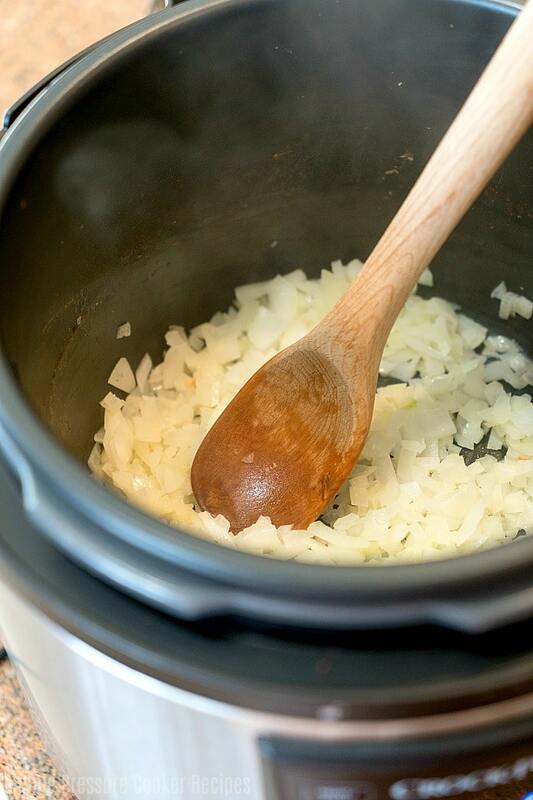 Here are a list of must have Crock Pot Express accessories to make your pressure cooker experience easier! 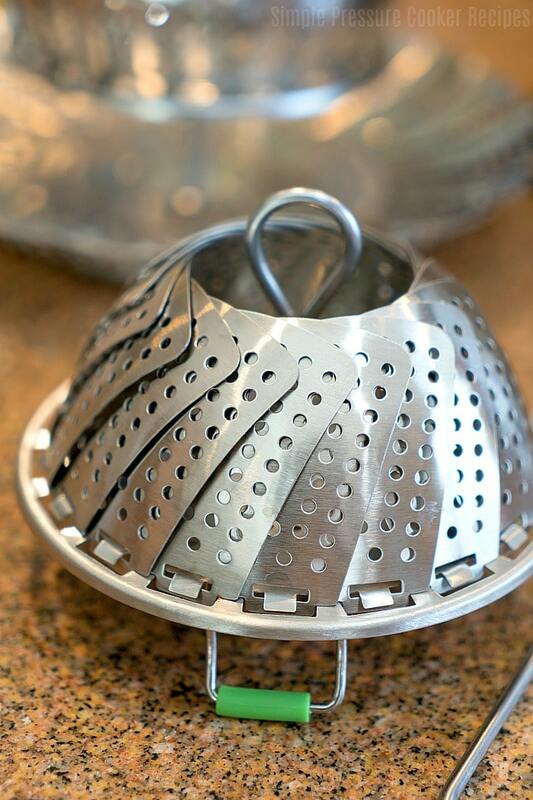 Which vegetable steamer to use and which pans you need to make things like a Crockpot Express cake and more! Yes you can bake as well as cook a quick dinner in your favorite new kitchen appliance. If you just took your new pressure cooker out of it’s box and wondering what Crock Pot accessories you really need, and which ones you could go without I have a few answers for you here! I have been using an Instant Pot for a year and now I’m using this almost on a daily basis, depends on what mood I am in. You do not need every gadget out there but there are a few items that I use often and have created lots of wonderful Crock Pot Express recipes so far and am on a mission to create more to my list daily too. Many accessories I use are interchangeable between my two fancy pressure cookers, I talk about Instant Pot vs Crock Pot Express here and honestly I love them both but there are differences. 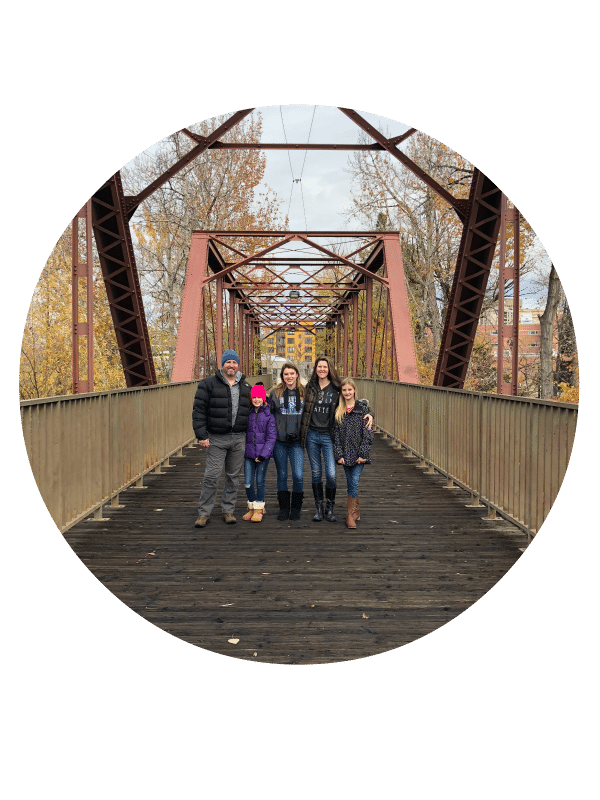 Special thanks goes out to Kitchen Deluxe for sponsoring this post so I could share some of my favorite Crock Pot Express accessories with all of you. Here are a few of the best Crock Pot Express accessories I use and would recommend purchasing so you can make all the recipes you find on my site and on the web! Springform pan that is perfect for making cakes and I have even made a sort of breakfast casserole in it as well. 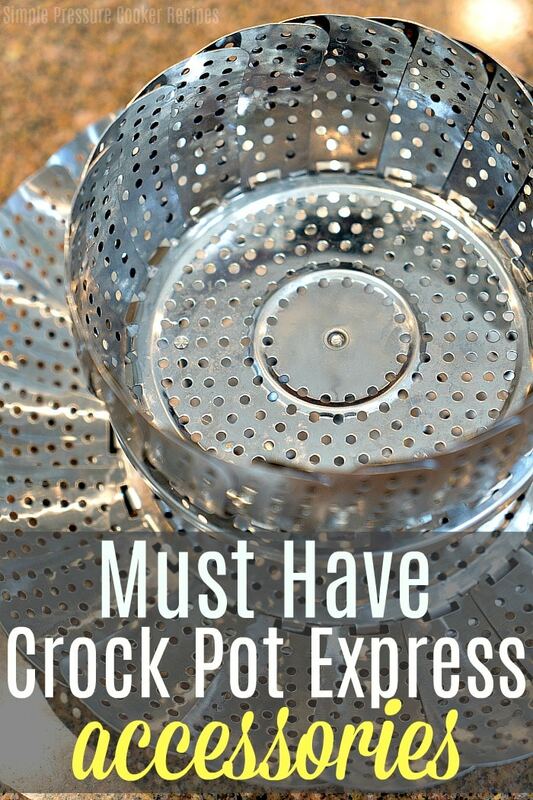 This single level Crock Pot Express vegetable steamer is great for steaming vegetables like artichokes and just about anything else (most things listed for Instant Pot will work in this pot). Note the feet on the bottom elevates it out of the water. There’s a great double decker vegetable steamer we have too! It’s so popular that it is out of stock frequently and you have to keep an eye on it but it is great. Since the inside of your pot has a great non stick coating you want to make sure that you have wooden utensils so you don’t scrape and damage the inner pot. One of the most important Crock Pot accessories you can get! I have a few spoons like this one but didn’t have many so I purchased a few more since I got my Crockpot Express pot. I love the fact that it has a non stick pot!! Now that you are set with a vegetable steamer, spoons, and small pans that will cook just about anything go for it!! You’ll do great I promise.